Forelimb contacts with the wall of an open-top, clear plastic cylinder while rearing are counted during 2 min period. The percentage of use of the affected forelimb (contralateral) is calculated as index of motor function in this test. 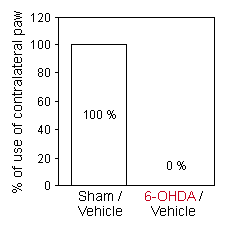 6-OHDA hemiparkinsonian rats showed dramatic motor deficit in the contralateral forelimb. 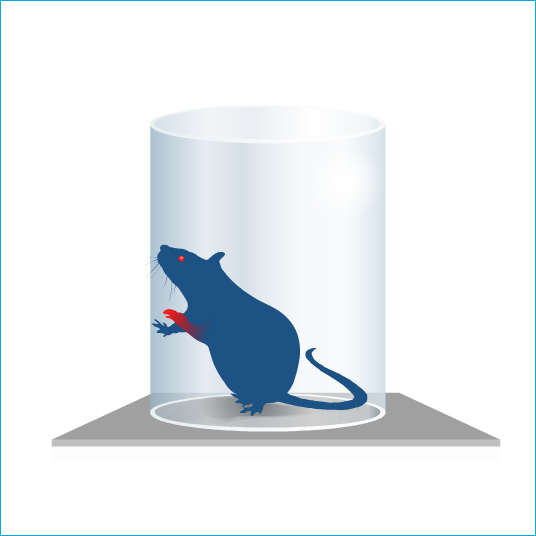 Rats walk across an elevated 2.5m long beam graduated. Misplacement is scored.